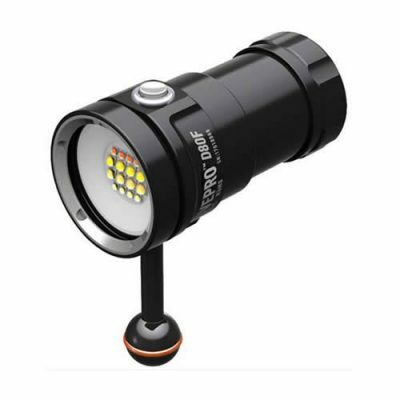 Excellent video light set for traveling divers. 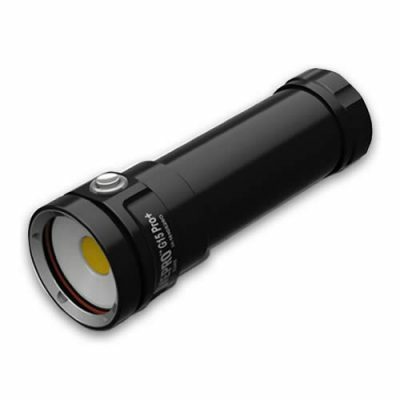 2 x 1000 lumens of widely distributed light. 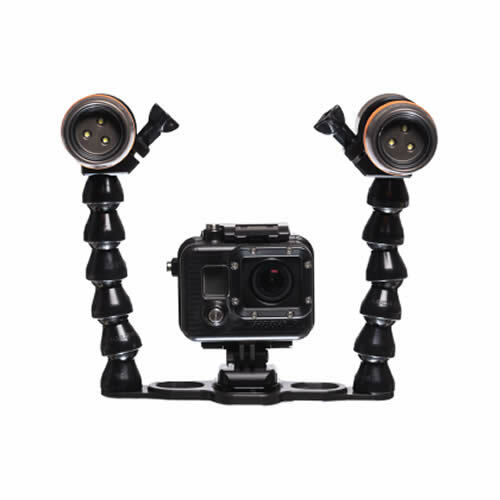 Complete set, no additional parts needed – just add your camera on and go diving. 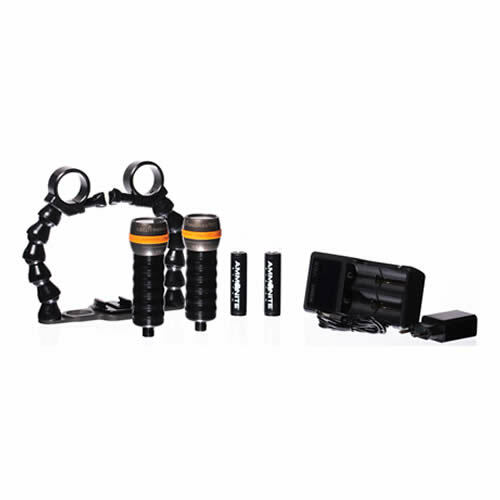 Based on our powerful and compact LED Stingray torch set is the best solution for traveling divers who want to share their underwater adventures with others. 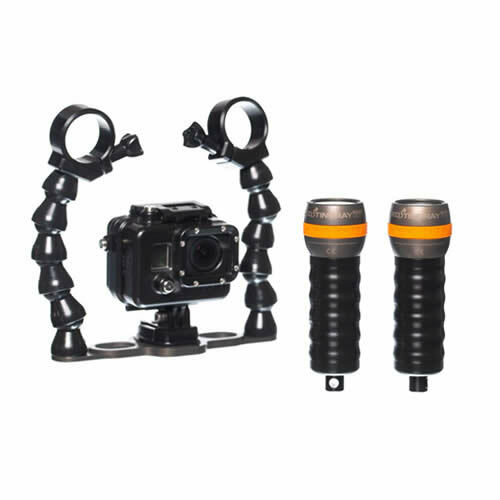 It’s a complete set with stable coral arms – easily adjustable, very light and simple construction. It comes with GoPro® click mount. 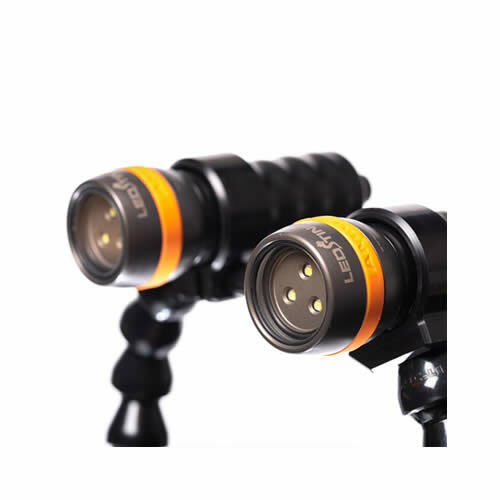 LED STINGRAY VIDEO is a tough and powerful compact video torch with a rechargeable battery and 200m depth rating. 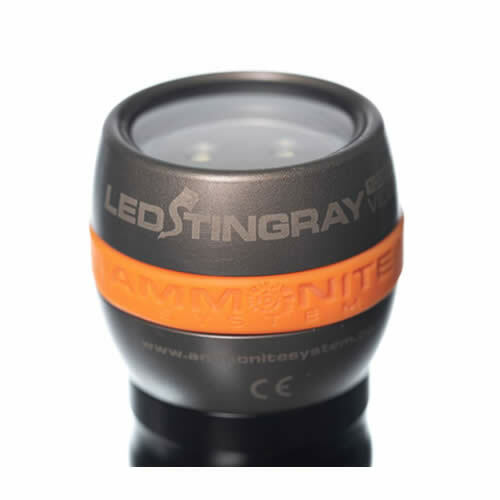 The STINGRAY is a torch with 1000 lumens output weighing only 130g and just 12cm long! 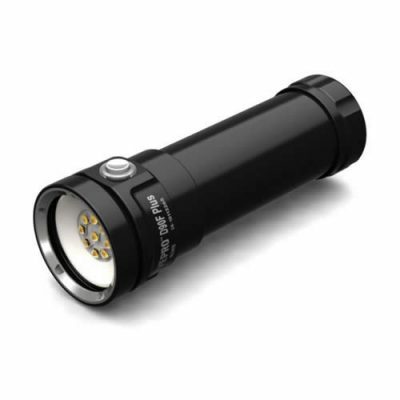 The battery is protected from overcharge and deep discharge. 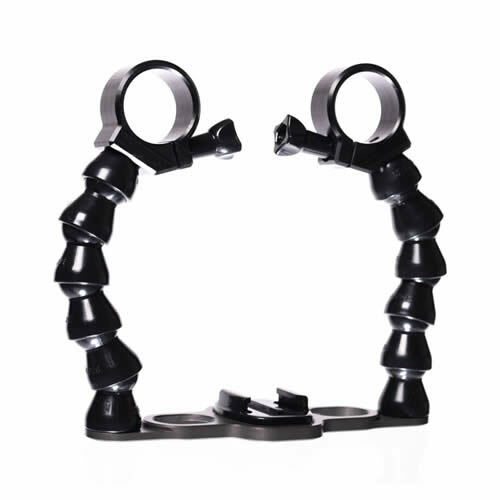 Very light yet durable modular arms – you can easily extend by adding the additional corals.